When it comes to achieving climate protection objectives or making fundamental improvements to our operational performance, there are many aspects to analyze and evaluate. The approaches to this are particularly wide-ranging within the manufacturing industry. It’s not simply a question of reducing emissions. The efficient use of energy, materials and substances, water consumption, increasing waste and wastewater, and stresses on the ground all provide scope for economic opportunities. And when it comes to maintaining high levels of product quality, modern measuring technology goes even further. The opportunities to strengthen individual positions can even be found in the steel industry. SICK’s intelligent sensors provide support at various measuring points in a wide range of production processes, so let’s take a moment to look at these in more detail. 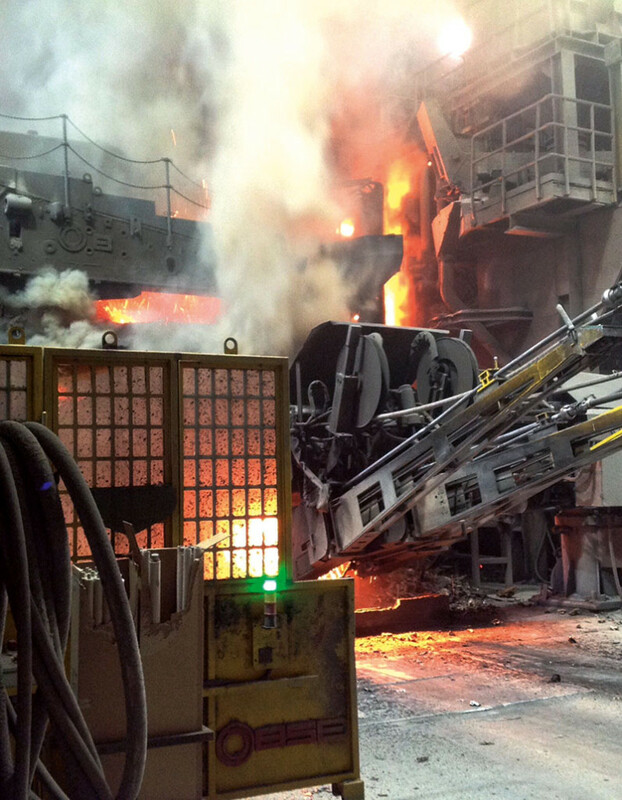 Electric arc furnaces (EAF) use powerful electric arcs used to melt down steel scrap, producing a range of basic construction alloys right through to special alloyed steel. The melting process begins at room temperature. The furnace is predominantly heated with electrical energy via electrodes, although limestone, powder activated carbon, lump coal, oxygen, natural gas or oil are also used in the melting process. In these cases, it is crucial to monitor the exhaust gas emissions. CO, CO2, O2, H2O, and H2 all provide information not only about the melting process, but also the efficiency with which the materials are being used. Take oxygen, for example: A high oxygen content indicates that the flow of unwanted ambient air in the furnace or exhaust gas system is too high. This in turn causes the electrical energy consumption and use of coal, oxygen, or limestone to increase. If the CO content is too high, this suggests that too much coal or too little oxygen is being supplied. It’s the successful interplay between each step that makes all the difference. Once that’s been established, production costs can start to drop while productivity increases. And to keep the climate footprint on an even keel, carbon dioxide emissions have to be kept to a minimum. All in all, it is fair to say that exhaust gas analyses on electric arc furnaces optimize the melting process. SICK takes measurements here using hot and cold extraction technologies. 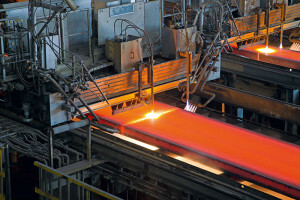 Hot billets or slabs are used in rolling mills not only to form to rods, wires, brackets or sections, but also metal sheets or plates. All in just a few seconds ‒ up to 360 km/h. The quality of the products is always paramount – as well as the precise lengths specified by the customer or depending on the next step of the process. If the rods are too short, they’re scrap. If they are too long, they have to be processed further. Even the section that gets cut off is scrap. This is a costly piece of waste, as heat energy, working time and raw materials have all been “processed” at various stages along the way. With SICK sensor technology, this waste can be kept to a minimum, as photoelectric sensors, encoders, and other devices are put into place to suit the respective application. Laser scanners position slabs, for example, to minimize damage incurred in the flow path, while distance sensors measure the thickness of coils, the diameter of blocks, and even determine the length of cut sections. All of these devices work together quickly and accurately to keep the entire process under control and thereby improve the level of cutting precision. Exhaust gas systems are among the biggest energy guzzlers found in steel plants. Many of these systems are considerably older than the actual steel production facilities themselves and are therefore extremely limited in terms of their monitoring capacity. This leads to the situation in which the exhaust gas systems always have to run at full blast for the steel production process to function properly. The time, place, and level of extraction has to be determined and monitored around the clock, and the required level of exhaust gas is controlled by means of dampers and/or fans. The energy consumption must be monitored and kept to a minimum without affecting the performance of the entire system. For this to be possible, the measuring technology in use has to be absolutely perfect. The FLOWSIC100 takes accurate flow rate measurements, which enables optimum control of exhaust dampers and fans. It is a rugged device that creates no drop in pressure within the conduit system. Multiturn or singleturn absolute encoders and incremental encoders are responsible for taking speed measurements for monitoring and controlling the main fans. This requires the use of technology with the highest levels of up time that is not only simple and stable, but also precise. 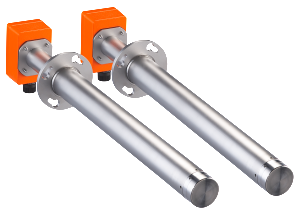 The combination of both measurements optimizes electrical energy consumption in exhaust gas systems and provides the finishing touch when it comes to process optimization.